The Bilberry is a wild-growing fruit found mainly in northern and central Europe and is a close relative to the blueberry found in North America. It is also the name of an extra-funky fountain pen ink made by Diamine. While the ink is sometimes referred to as Bilberry Blue, in my short time with it I have found it to be distinctly purple. An electric purple at that. Breakin' 2: Electric Purple Boogaloo. 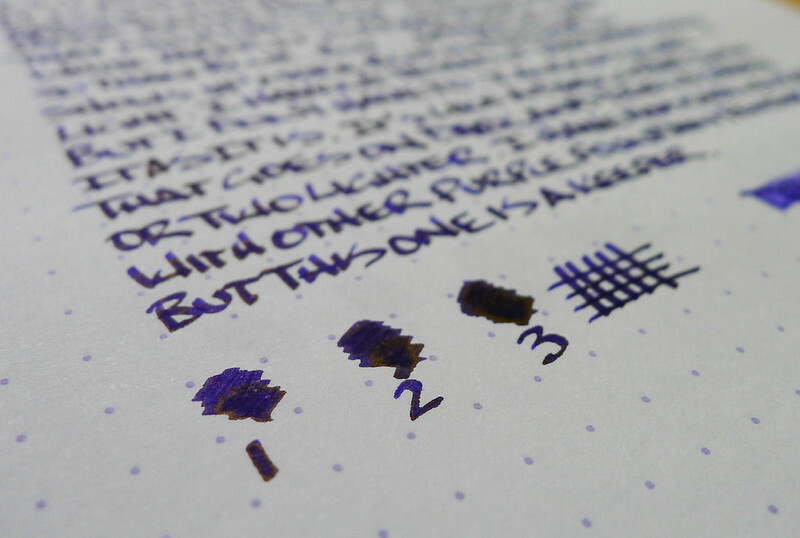 Like most Diamine inks I have used, Bilberry is well behaved. The color is rich, the shading is nice, and in this particular case there is a slight sheen left behind which you can see in the image below. Dry time is nothing special - average at best on my Rhodia DotPad. When I did the handwritten part of the review I was enamored with the ink. I still am, but I haven't found it to be an every day go to ink like I thought it might be. Still, it is nice to have around and I thank Thomas for sending me this sample. You can pick up a bottle of Diamine Bilberry at JetPens for $12.50. 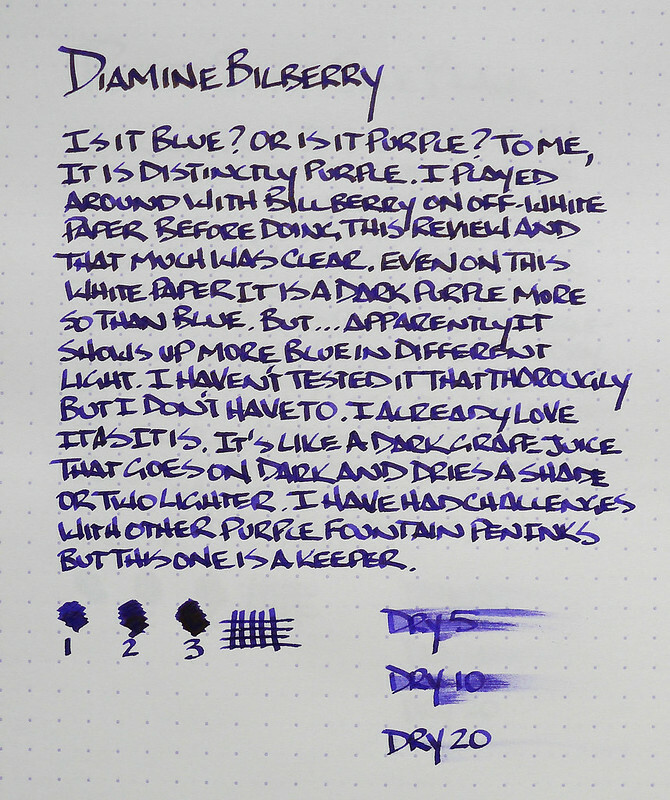 Posted on December 30, 2013 by Brad Dowdy and filed under Diamine, Ink Reviews.